The dark, fearsome Ringwraiths are searching for a Hobbit. 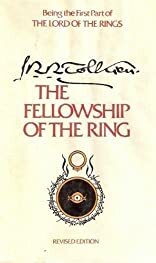 Frodo Baggins knows that they are seeking him and the Ring he bears-the Ring of Power that will enable evil Sauron to destroy all that is good in Middle-earth. Now it is up to Frodo and his faithful servant, Sam, with a small band of companions, to carry the Ring to the one place it can be destroyed: Mount Doom, in the very center of Sauron's realm. Thus begins J.R.R. 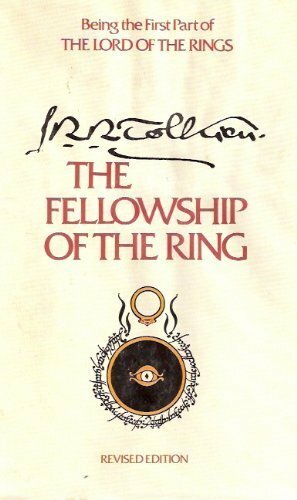 Tolkien's classic The Lord of the Rings, which continues in The Two Towers and The Return of the King. This is my fourth time of reading and, after a gap of at least a decade from my last reading, am enjoying it very much. What might put off some people, I am revelling in: the rich descriptions and vocabulary. I have got to know the film so well that it is fun to relish the differences. Bring on Vol 2!